Home | Denison Mines Corp.
Denison has a 90% interest in the Wheeler River Joint Venture consisting of 19 unsurveyed mineral claims totaling 11,720 hectares in northern Saskatchewan. Denison has been the operator since November 10, 2004. The other partner is JCU (Canada) Exploration Company, Limited ("JCU") (10%). Denison's exploration and development portfolio consists of numerous projects covering approximately 320,000 hectares in the Athabasca Basin region, with a focus in the infrastructure rich eastern portion of the Athabasca Basin. The McClean Lake mill is one of the world’s largest uranium processing facilities – licensed to produce up to 24M lbs U3O8 per year and currently processing ~18M lbs U3O8 per year for the Cigar Lake mine under a tolling agreement. Denison is a uranium exploration and development company with interests focused in the Athabasca Basin region of northern Saskatchewan, Canada. 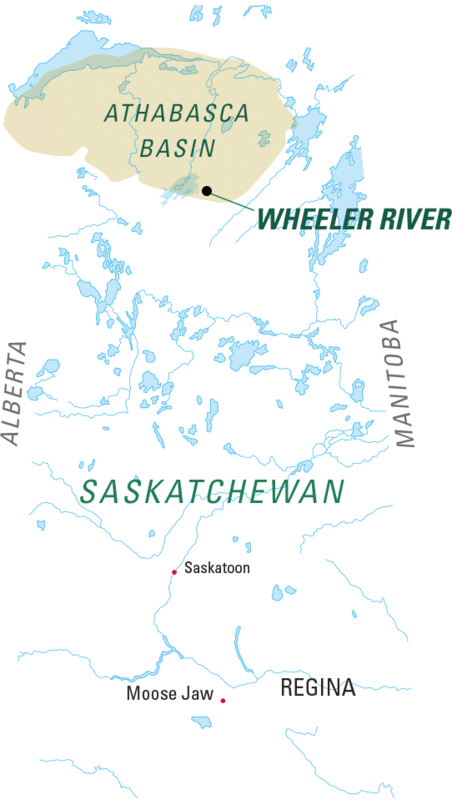 In addition to its 90% owned Wheeler River project, which ranks as the largest undeveloped high-grade uranium project in the infrastructure rich eastern portion of the Athabasca Basin region, Denison's Athabasca Basin exploration portfolio consists of numerous projects covering approximately 320,000 hectares. Denison Environmental Services, a division of Denison Mines Inc., provides complete mine decommissioning services to industry and government. The focus is physical care and maintenance of closed and closing mining properties. Other services include consulting for new and early stage mining projects in the areas of mine site development, closure planning, closure cost evaluation and environmental permitting.